Th e Olympic Games are a major international event featuring summer and winter sports, in which thousands of athletes participate in a variety of competitions. The Games are currently held every two years in even-numbered years, with Summer and Winter Olympic Games alternating, although they occur every four years within their respective seasonal games. Originally, the ancient Olympic Games were held in Olympia, Greece, from the 8th century BC to the 5th century AD. Baron Pierre de Coubertin founded the International Olympic Committee (IOC) in 1894. The IOC has since become the governing body of the Olympic Movement, whose structure and actions are defined by the Olympic Charter. 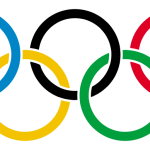 The evolution of the Olympic Movement during the 20th century caused the IOC to adapt the Games to the world's changing social circumstances. Some of these adjustments included the creation of the Winter Games for ice and snow sports, the Paralympic Games for athletes with physical disabilities, and the Youth Olympic Games for teenage athletes.